"I’ve fallen in love with a book. Like fallen head-over-heels, carry-it-all-around-town, sneak-in-pages-whenever-I-can in love. The real deal." "An absolutely phenomenal guide with a crisp design and clear, concise explanations." "Does a great job of clearly presenting programming concepts like data types, control structures, functions strings, arrays, loops. Nothing is dumbed down." Chapter 11: Find the Buried Treasure! "Vibrant and visually engaging, with chuckle-worthy asides...instructive and kid-friendly." 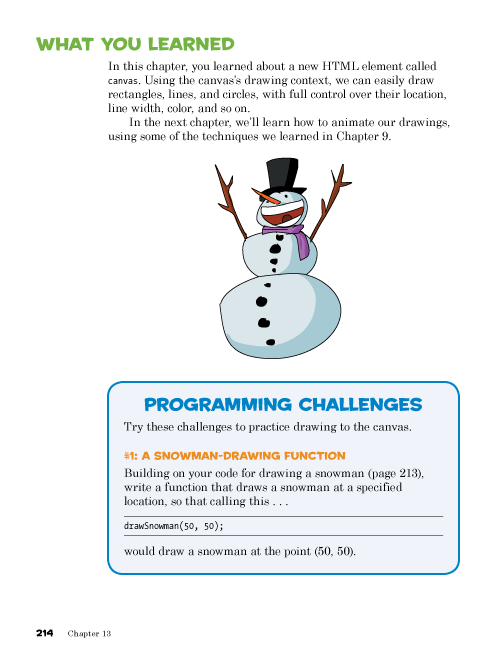 "I'd recommend this book for anyone in middle school through to retirement who wants to see what programming is all about, but wants a gentle, fun introduction." "This exists and it looks awesome." "Has your child resolved to learn to code in 2015? Check out this new book." "We had a JS workshop for kids 9-12 last Friday and it helped very much when it came to explaining various concepts—Nick is great! " 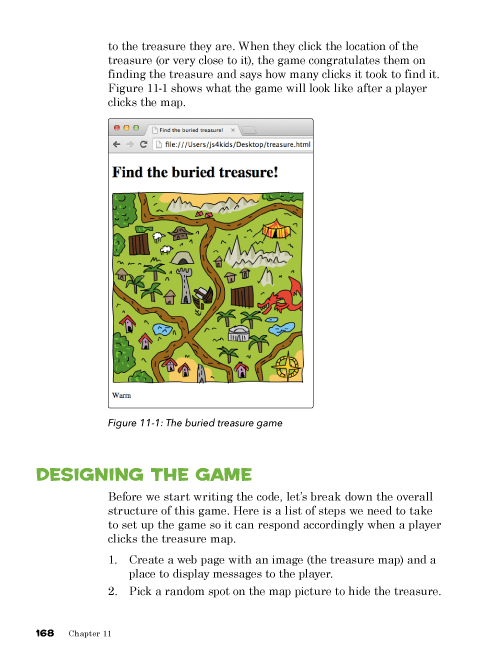 "May work well as the source material for something like Code Club." "I wish I had had something like this when I was 10. The book is very thorough yet accessible." "Another winner from No-Starch Press." 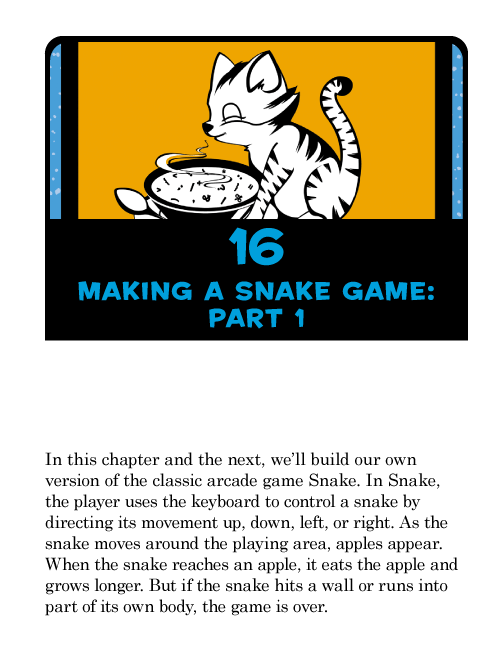 "This is the kind of book I would easily recommend for the beginning Web coder." 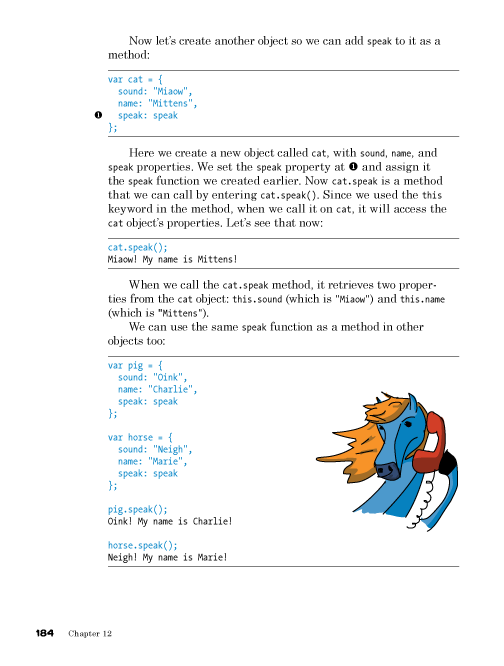 "I wish I had a book like this when I was learning programming over 20 years ago." "This book takes the mantle of the 'Dummies' series for learning complex subjects...highly recommended." "A fantastic primer that is both immensely educational and wildly fun." "Fantastic...one of the best and most comfortable introductions to a real and useful programming language we've seen."